Here are some views at Broadcast Peak, 4200 feet above Goleta, California. Broadcast Peak is the tower location for KEYT-TV Ch. 3, Santa Barbara, and a number of FM broadcasters in Santa Barbara County. 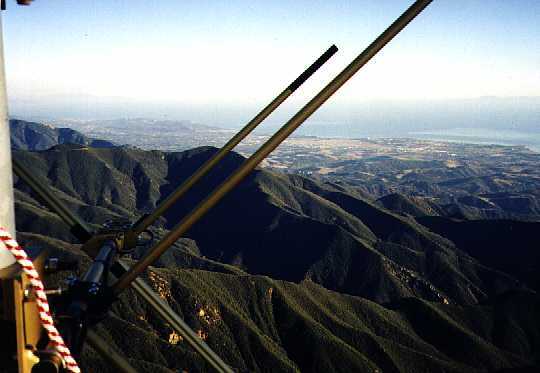 This is the view from behind the old K254AH antenna, looking southeast, 4200 feet above Goleta, California. This translator is now located at Gibralter Peak, closer to Santa Barbara..
For an explanation of the K254AH operation, go to the bottom of this page. Here is the KEYT-TV tower. 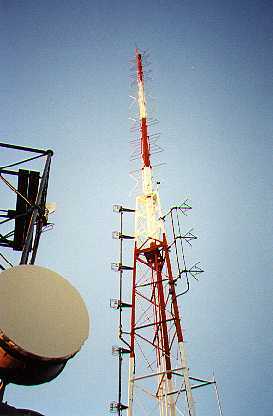 There are three FM antennas, along with the top-mounted batwings for Channel 3. 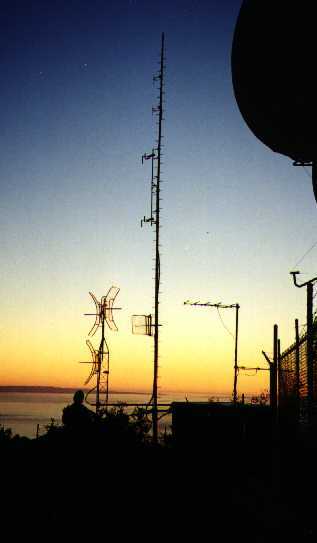 The KEYT-TV transmitter. Manufactured by Larcan-TTC, it operates with no tubes, only transistor amplification. KEYT-TV has 50,000 watts visual power, and has been at this site since 1953. 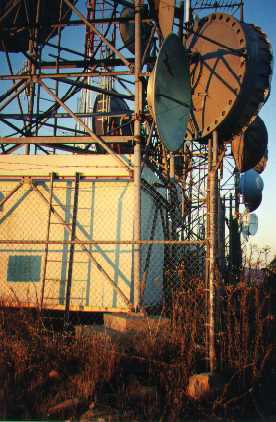 Looking at the mass of microwave and other antennas mounted just inside the fence at Broadcast Peak. Looking southwest at sunset, past the KCSB tower. A very special place, with wonderful views of the Channel Islands and Lake Cachuma to the north. K254AH is an FM translator for KPFK, Los Angeles. Why would KPFK want to put a translator in Santa Barbara? At one time, KPFK had a great signal in the Santa Barbara area. Increasingly over the years, more and more interference to KPFK's signal resulted in a loss of listeners, and many requests from those listeners to fix the problem. In 1996, KPFK applied for a license to install this translator. While it was originally intended to be at 98.5 mhz, a station in Oxnard objected, so 98.7 was chosen as the alternative. After a tremendous amount of legal maneuvering, K254AH was placed on the air from Broadcast Peak. The signal was not as good as expected in the city of Santa Barbara, however, and co-channel KYSR in Los Angeles objected to the interference it caused along the coast highway north of Malibu. Broadcast Peak worked too well for long distance reception, and not well enough for local reception. John Frankiln, who owns Gibralter Peak, offered to let us move to his site, which helped the signal in Santa Barbara, and also cured the interference to KYSR. 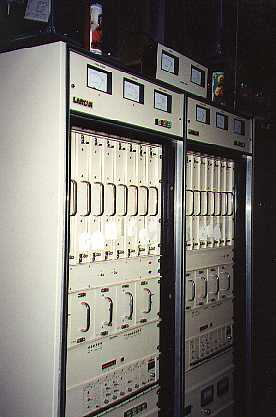 K254AH now operates at Gibralter Peak, which was the best choice in the long run for a low-power translator like this.